Nelsons Pillar decapitated by ‘dissident’ IRA man Liam Sutcliffe in “Operation Humpty Dumpty” on 8 March 1966. I’ve just spent a week in Dublin for the Easter Week celebrations of the centenary of the 1916 Uprising. Meeting place for friends was The Spire, where the old Nelson’s Pillar was in O’Connell Street, blown up by the IRA to mark the 50th anniversary in 1966 in “Operation Humpty Dumpty” by a ‘dissident’ IRA man, Liam Sutcliffe. I noted there was no place for a statue of Padraic Pearse in O’Connell Street and these musings are dedicated to explaining why Trotskyists, international revolutionary socialists, should expose this shocking absence and explain what this is so. When Nelson’s Pillar was gone the site stood empty for over twenty years because there was no agreement on Dublin Corporation on what to replace it with. Fine Gael wanted a statue of Sinn Fein founder Arthur Griffith, who was bitterly opposed to the Uprising and led the pro-British side of the Civil War with Michael Collins before they both died within a week in August 1922, one of a stroke and the other in an IRA engagement at Béal na Bláth ambush in West Cork on August 22nd 1922. 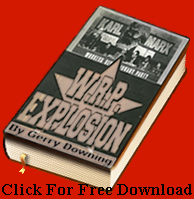 The Free State convoy was driving through Republican-held territory when it was ambushed. Denis ‘Sonny’ O’Neill from Timoleague fired the fatal shot in defence of the 1916 Republic against those who were abandoning it to become servants of the British Empire once more. Some Dublin Unionists wanted the Pillar restored but that just was not politically possible, really British direct colonialism can never return in that old way. The left nationalists wanted a statue to Padraig Pearse, the leader of the 1916 Uprising where Nelson Pillar had stood. Given its location next to the General Post Office, the HQ of the Uprising, it seemed the latter was the natural choice. But no, the Corporation refused the request that Pearse be commemorated there in 1979, the centenary of his birth when the site was available. 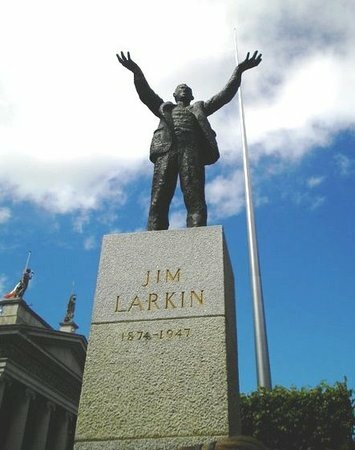 Dublin could not commemorate the revolutionary father of their own state lest it encourage the IRA in the north of Ireland and offend the British. Such was the legacy of the defeat of the revolution begun in 1916 by the British funded and armed Free State forces in July 1923. It is indeed an unfinished revolution. To celebrate Dublin’s 1,000th anniversary celebrations in 1988, the Smurfit Millennium Fountain was placed there, sponsored by millionaire Michael Smurfit as a tribute of his father. It was supposed to represent Anna Livia, the spirit of the Liffey, Dublin’s river. However it baceme universally known as “the floozie in the jacuzzi”. It was correctly described as “an atrocious eyesore”. The Spire, an equally meaningless construction, replaced that in 2003. But surely there was room in O’Connell Street for Pearse? Daniel O’Connell dominates the Liffey end, sculpted by John Henry Foley, who made the hideous Albert Memorial in London and Father Matthew’s statue dominating Patrick Street in Cork. Charles Stewart Parnell is at the other end and there is an impressive one of James Larkin outside Cleary’s department store (now closed), the scene of the famous address from the balcony of the property of his main enemy, William Martin Murphy from Castletownbere in West Cork during the Dublin Lockout in 1913, before he was dragged away by the Dublin Metropolitan police. We might speculate on why it is perfectly acceptable to put the great workers’ leader of 1913 in O’Connell Street and not Padraig Pearse. We might speculate on why it is perfectly acceptable to put the great workers’ leader of 1913 in O’Connell Street and not Padraig Pearse. We would suggest that is to do with the treacherous roles played by both the British and Irish labour movement leaderships in that great anti-imperialist struggle. We will deal with this in a later article but suffice to say for now that the British Labour party and TUC always deferred to the Irish Parliamentary even for a period after they were practically wiped out in Ireland in the 1918 general election, reduced to 6 MPs as opposed to 73 Sinn Féin and 22 Unionists. And when they eventually gave up on John Redmond they substituted not Sinn Féin but the Irish Trade Union Congress and Labour party (ITUCLP) who were obviously far more pro-imperialist than Sinn Féin and so far more acceptable to the Labour lieutenants of capital than Sinn Féin following the death of Connolly. James Connolly gets his statue outside of the rebuilt Liberty Hall, where the Rising begin in earnest, appropriately enough in one way but far enough away from the center of Irish politics because of the abandonment of the Republican cause by these bureaucrats following the execution of Connolly. There are two more statues in O’Connell Street. One to William Smith O’Brien the Irish nationalist MP and leader of the Young Ireland movement erected in the 1870s. A “Protestant country-gentleman” who supported Catholic Emancipation but was a leader of the split from the constitutionalism of Daniel O’Connell. He was sentenced to be ‘hanged, drawn and quartered’ but that was later commuted to deportation to Van Diemen’s Land after a huge national campaign to save him. He had led the “The Battle of Widow McCormack’s cabbage plot” at Ballingarry, in County Tipperary in July 1848, part of the Europe-wide ‘Springtime of Peoples’ and that did signal a return of the physical force tradition in Ireland following the terrible mass repression and hangings during and after the defeat of the 1798 uprising. He was moved from the south quays to O’Connell Street in the 1920s; the two ideological foes of the 19th century were in the same street. Sir John Gray’s statue is “carved entirely of white Sicilian marble”. But there is another statue between O’Connell and The Spire. It is “the recently restored Sicilian marble statue of Sir John Gray erected in 1879. Who he? Surely we could topple this unknown individual and put Pearse there? Sir John Gray’s statue is “carved entirely of white Sicilian marble” we are told. He “was the proprietor of the Freeman’s Journal newspaper and as a member of Dublin Corporation was responsible for the construction of the Dublin water supply system based on the Vartry Reservoir”. So he definitely needs to stay, says Dublin Corporation, so they polished up his marbles and that left no place for Padraig Pearse. As we shall see in the next part what obtained from 1923 on is still the politics of the twenty six county and six county states set up by the British Act of Parliament in 1920 and the Anglo-Irish Treaty, 6 December 1921, which had to be endorsed by the British parliament, both Commons and Lords. « Does the Labour Party have ‘a problem with anti-Semitism’? No; and the accusations raise more questions than answers.